I wrote some mini-reviews of the books I had read in January, February and March a few months ago. 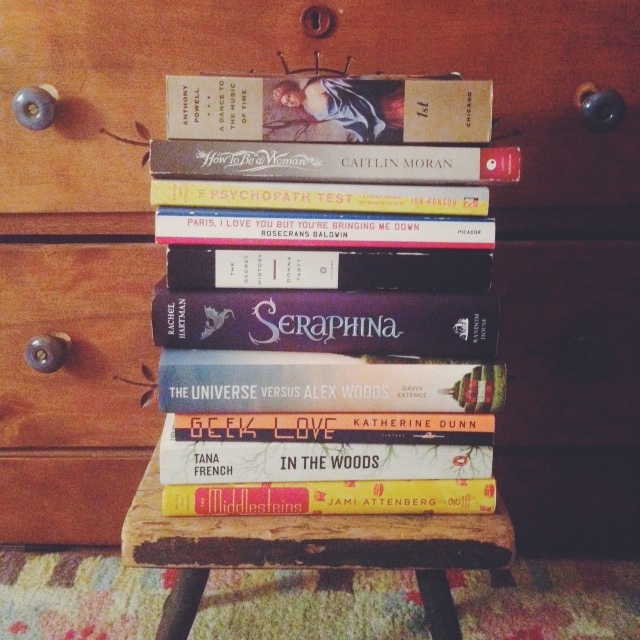 And then I wrote some more about the books I read in April, May and June. So, here’s the third edition, covering the months of July, August and September. Did any of you read anything great this year that I should read and review in the next one? I’m looking for suggestions! In this first volume of this twelve-novel cycle, the narrator, Nick Jenkins, navigates public school and early adulthood in Britain. His story is intertwined with those of schoolmates Templer, Stringham and Widmerpool. I found this book difficult to get into at first – it can be kind of boring – but started enjoying it more as I got to the second novel in the volume. By the time I finished it, I was ready to move on to the second volume but…I had other books I’d planned to read this summer, so it will have to wait. This is Caitlin Moran’s memoir/feminist manifesto. Yes! I read it while I was in San Francisco and I absolutely flew through it. There are a few bits I would complain about, of course, but I found Moran’s personal essays to be very funny and unsurprisingly full of very good advice. Yes! It is magnificent and every woman should read it. (Because there are too many women who are not “women”. You know?) Men should read this, too. Maybe more than women. A Chicago family is affected by their mother’s obesity. Yes. I was actually kind of surprised. I had read a lot about this book right after it came out and didn’t think I would pick it up, until someone loaned me a copy. I thought it was funny and devastating and a very interesting portrait of modern family dynamics. If you’re a literary fiction fan, sure. (If you haven’t read it already.) I’m not sure it’s a book I’ll be raving about in years to come, but it was good and worth a few days of my reading time. A boy, who happens to be the son of fortune teller, gets hit by a meteorite and lives. He makes unlikely friends, goes on an adventure, etc. Nope! There are a lot of reasons for this. I hated the voice. I was not a fan of the prose. And most of all, I thought the story and characters leaned much too heavily on the work of other authors and familiar coming of age tropes. I mean, there are parts of the book that are basically essays about Kurt Vonnegut novels. Also, I think one of the characters was wholly lifted from About a Boy. Dublin Murder Squad detective Rob Ryan gets the chance to investigate the disappearances of his childhood friends when a twelve-year-old girl is found murdered in the same woods where he last saw his friends. Yes. Just as well-done and suspenseful as The Likeness. Rob wasn’t as likeable a narrator as Cassie, who appears in this book as his partner. However, I thought that the story was compelling and just the right amount of crazy. Jon Ronson sort of accidentally investigates psychopaths: who they are and how we diagnose and treat them. I did. I thought the individual stories Ronson tells and the storytelling in general were interesting, though I did struggle to figure out how a few of the chapters fit under the umbrella of the book’s premise. Yeah. I mean, everyone wants to know more about psychopaths! And this book is especially good if you want to constantly wonder if your friends, family members or self are psychopaths all the time. The author moves to Paris with his wife for a job at an advertising firm. Hilarity ensues. I think I loved it? Now that I think about it, there wasn’t anything particularly special about it. But it ended up being one of those books I wish went on for longer, which is something kind of special. It was just funny and charming and, for me, relatable, since I was in Paris during the same time as the author. If you like personal essays and travel memoirs, definitely read this. Also, if you’re an American who has spent any significant amount of time in Paris, definitely read this. This is a medieval fantasy starring a musically gifted, unusually talented teenage girl. The story features murder and dragons that take human form. Eh. I found myself liking it toward the end, but I just wasn’t into the world, which surprises me because medieval fantasy worlds are my jam. It’s not that it wasn’t well-planned. I just think it would have captured my attention more if I had read it as a kid rather than as an adult. (Though, I am saying this as an adult who is totally into young adult fiction so that’s probably not true.) Also, I didn’t like the main character that much. That was a pretty huge problem. Unless you’re a big YA fan who has been meaning to read this, I wouldn’t go out of my way to pick this up. It almost doesn’t matter. This book is about so many things. But it’s mostly about this dude who gets tangled up in a group of sweetly, intelligently alternative Classics majors who turn out to have a dark side. Oh my God. I was so obsessed with this book while I was reading it that the whole experience feels like it wasn’t real. And I was so sad as I was nearing the end of it, it felt like I was losing a friend. Those, by the way, are my two favorite feelings to have about books. Yes. 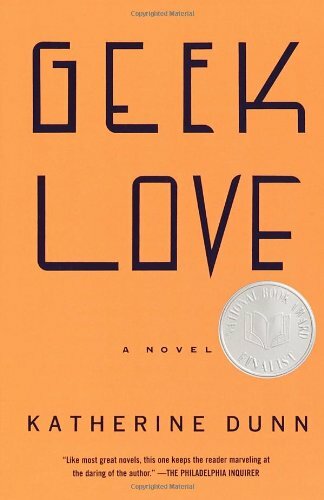 The prose is wonderful, the story is batshit crazy, it takes place on a college campus and there are characters who speak Latin (and also write their diaries in Latin). And, again, the story is crazy. A family of carnival freaks. I don’t think I need to say any more. This book is one of my all-time favorites. I just finished rereading it for the first time since college. A very emphatic yes. The writing is spectacular, as is the Binewski family’s carnival world. This book is almost as old as I am and everything it has to say about society and humanity is still relevant. If you read this book and don’t like it, please tell me. You’ll be the first person I know who hasn’t liked it. (Full disclosure: I know three other people who have read it).